Waiting in a long line of indecisive customers just to order the same old watered-down iced latte? Bean there, done that. Quench your thirst with something different – like a homemade cold-brewed coffee. And no, it’s not the same thing. Iced coffee is quite literally a glass of ice with regular hot coffee that’s been cooled down. Coffee in a cold brew is never heated. Drink up our guide to learn more about this cool trend, then check out a few cold coffee brew systems and try it out for yourself. Cold brew coffee makes up one half of the cold brewing family, with the other being cold drip coffee. The names of these two drinks are often used interchangeably, but they actually describe two totally different beverages. The difference is in how the drinks are made, with cold drip coffee being produced in a way that separates cold water from the coffee grounds instead of combining both ingredients like in cold-brewed coffee. Cold drip coffee: cold water is poured over the water drips slowly through the coffee. Cold brew: coffee is mixed in with cold water for the whole brewing time, which can take up 24 hours. Receptacle: a receptacle is the ‘body’ of your cold brew system. 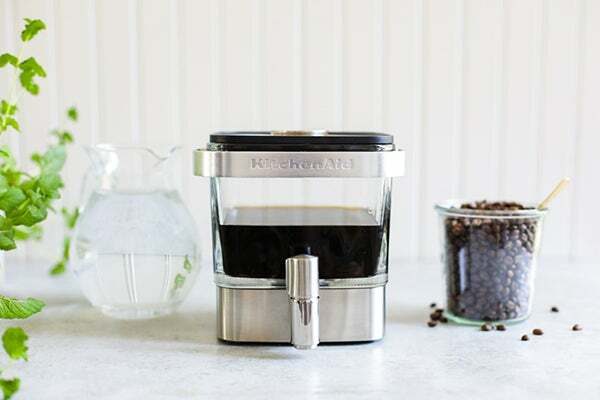 Products such as the KitchenAid Cold Brew Coffee Maker are available in store, although some prefer to create their own system with things like coffee plungers or empty jam jars. Filter: a filter is necessary to separate the coffee and brew, and is included as part of the cold brew system or sold separately. Metal mesh filters (or plungers) are said to produce a fuller body, while paper or cloth filters apparently leave a cleaner up. Coffee grinder: you can choose to create freshly ground coffee using small hand coffee grinders, or larger options like the Breville Smart Grinder Pro. Otherwise, brands such as Vittoria, Caffe Aurora and Lavazza sell pre-ground coffee grounds. Water: different brands seem to prefer using clean water, such as filtered water, over tap water. What cold brew coffee machines are available? Want to know how you can recreate your favourite bottle of cold brew from the nearby independent cafe? We’ve listed a few appliances you can pour your curious energy into. Keep in mind that making a cold-brewed coffee will take longer than your usual cup of instant Joe, especially since it takes between 4 to 24 hours just to brew the water and coffee in the fridge. 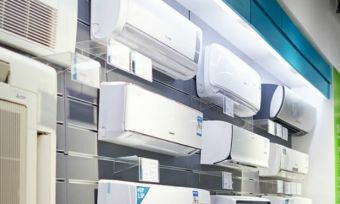 The specific system that you use also makes a difference because brands choose different materials to build their products, and offer a range of systems in various styles and sizes. Whether you soak or steep the mixture during the brewing process also has an impact. Love coffee, but still flirt with organic tea and non-caffeinated beverages on the side? Well, check out the KitchenAid Cold Brew Coffee Maker. 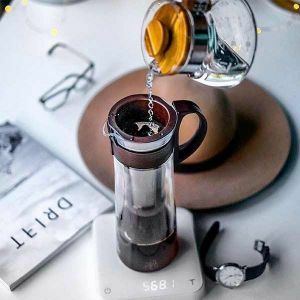 It boasts a number of flexible features to keep things exciting, including a reusable stainless steel steeper capable of brewing a variety of drinks. The appliance is also described to be small enough to conveniently store in the fridge, or leave on the kitchen counter for family and friends. Optional accessories like the KitchenAid Burr Grinder are said to add even more versatility, and can grind in a variety of ways ranging from fine espresso to a coarse French Press. Tea brewing time: green and white tea need to steep for 4-6 hours, while black and oolong teas require between 8-12 hours. Produces up to 14 serves of 236ml worth of coffee concentrate. Once things finish up, the brand claims cleaning the KitchenAid Cold Brew Coffee Maker is just as simple achieving a ‘smooth, rich full-bodied flavour’. Don’t have time to make a homemade iced coffee? Skip the $2 flavoured milk at the servo and enjoy cold brew coffee on tap at home. The concentrate produced in a Hario Mizudashi Cold Brew Pot is said to last in the fridge for up to two weeks, giving you a decent supply of caffeine before it’s time to chuck and restock. Love your espresso martini? Combine the concentrate with mixers and spirits to create a cocktail. Or you can always stick to adding hot water for a classic coffee (or hot water for an iced coffee). Either way, coffee must steep for 12-18 hours in the fridge. The Hario Cold Brew Pot also comes with a permanent mesh filter, which apparently contains 60 micron holes to prevent rogue coffee grounds from seeping through to your next sip. When you’re on-the-go and need a caffeine hit, the BodyBrew BOD Expert is the co-pilot you need to help fly through the day. The compact and modular cold brew system is designed to be transportable, with items such as a road flask and flight glass included when you buy the product. The company claims that the build is ‘spill and splatter proof’, so you should be able to pack it in a suitcase without worrying about glass breaking. 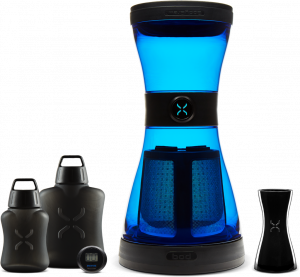 The BodyBrew BOD Expert is said to produce up to 8-12 servings of hot or iced coffee, although the item allows you to re-brew the coffee grounds a second time to give you an extra three or four cups. You can find the product on the brand’s website. But keep in mind the US-based company will charge extra for international shipping to Australia.